articles, journals, videos, interviews, existing biographies, or an autobiography. Only use material that has permissions available to use in your research, especially if you are going to publish and distribute the biography (or else you could end up with a lawsuit on your hands). putting yourself in his or her shoes. Visualize witnessing what they witnessed. Imagine how they felt. Take pictures for the biography. If you can’t visit the actual place, try to visit a place like it. Here are some ideas: Where the person was born and died. Illustrate a sharp contrast or powerful similarity between the two. The subject’s “refuge”. Where did they go to recharge their batteries, or escape the chaos of their life? Where did they find peace or inspiration? Locations of trauma. Were there any significantly negative events in the person’s life that deeply impacted them? An injury, death, natural disaster, car accident, or even a bad break-up? Explore what interested, influenced and inspired the subject. What was he or she passionate about? Whether it was botany, poetry, classical music, or architecture, immerse yourself in it. Try and discover why the subject enjoyed it. How did this subject influence his or her own work or life? Find out what your subject liked when he/she was a kid. Did an interest in space inspire them to become a NASA employee later on in life? Continue to look for connections between what the person loved and how his/her life was shaped by that subject. Study the time and place of the subject’s life. If it was a long time ago, do some homework on what life was like back then. Figure out what role your subject played in the society of his/her time. Also account for regional differences. What’s frowned upon in one place may be celebrated 30 miles (48 km) away. This can shed light on the subject’s decisions, and their consequences. norms of that time? What was going on economically and politically? What about in that person’s field? When you are considering your subject’s role in that time ask yourself: What was his/her economic standing-was he/she lower, middle, or upper class? What was his/her religion-was that religion persecuted at the time? What was his/her race-did she/he face opposition because of it? If your subject is a woman, ask, what was the role of women during that time? Saw a sailboat. Later on, you may write down when he/she first learned to sail. Still later you may write down about a position your subject held as the captain of a boat, followed by your subject’s mysterious death at sea. While it may not have been clear in your research, using a timeline could help you to see that your subject’s life, and death, was formed around his/her love of sailing and the sea. Look for patterns. See the forest, not the trees. Some people continue to come back to the same subject or theme in their lives, again and again. Others start out well and spiral downward. Look for patterns within your subject’s life-what or who continued to draw him/her in? Phases. Many people go through phases during their lives. Sometimes the phases are backlashes of each other; for example, a person may go through a very dependent phase, then a very independent phase, then something in the middle. This can happen with relationships, too. One may end up with a string of abusive partners, then, being fed up, starts seeking very submissive mates, then begins to prefer aloof partners, etc. Progression/regression. Look for a steady refining of the person’s character or work, improvement overtime, leading up to a defining event that shows how far the person’s come. Alternatively, perhaps someone’s life begins promisingly and gradually unravels-a tragedy of sorts. Pay attention to situations that repeat themselves in a person’s life. Maybe this person reaches out, gets hurt, becomes reclusive, heals, and begins again. Or the subject sets a lofty goal, burns out, draws wisdom from the experience, and starts over with a new goal. Addiction also tends to play out in cycles. Whatever the situation, it repeats itself throughout a significant portion of the person’s life (maybe signifying a phase) and at some point, the person might “break the cycle”. Turning points. What are the moments in the subject’s life when their direction changed dramatically? The birth of a child? A near-death experience? Hitting rock bottom? It’s the point at which a pattern changes; a new phase begins, progression become regression (or vice versa), a cycle ends or a new ones starts. What is the significance of this person’s life? How did he or she change the world? What would happen if this person never existed? What is unique about what they did or made? What led to the subject’s success or demise? Was there a certain passion (or obsession?) A particular relationship? A single incident of good or bad luck? A decision by the subject? A particular circumstance? Decide how to recount the person’s life. Write an outline and fill in the details. This is the step in which you decide which events in the subject’s life are the important ones, and which ones you will focus on. You should pick these events based on your thesis statement. Try to use the organization to support the thesis. Go by the timeline, recounting each significant event in the order in which it happened. This is the simplest way to go, but it’s difficult to support your thesis in this context. Flashbacks. Describe a recent or current situation, then “flashback” to an earlier point in that person’s life. This is good for illustrating cause and effect, or how this led to that. You can even go in complete reverse order, begin at the end, and work your way backwards. If the person’s life is closely tied to his or her career, you can break it up by job positions or works created. This can be tied to phases or cycles in the subject’s life. Shape your biography into a narrative. A narrative is a story-you want your Biography to flow like a story, to engage the reader and make them care about what happens to your subject and why. Writing a narrative biography means adding engaging language and information and really bringing your subject to life-not just dryly relating the events of his/her life. Make your readers feel like they have known the subject their whole lives. yourself if it makes sense, if the thesis statement is clear, and if it is engaging. Maybe several sections need to be moved around or rewritten. feedback from people you trust, like peers and professors. Ask someone to read each draft of your biography as you work on it. Ask the person reading your biography: Does it make sense? Do you get a real sense of who the subject was/is? Is your point (your thesis statement) made clearly? Is there anything you should add or delete? 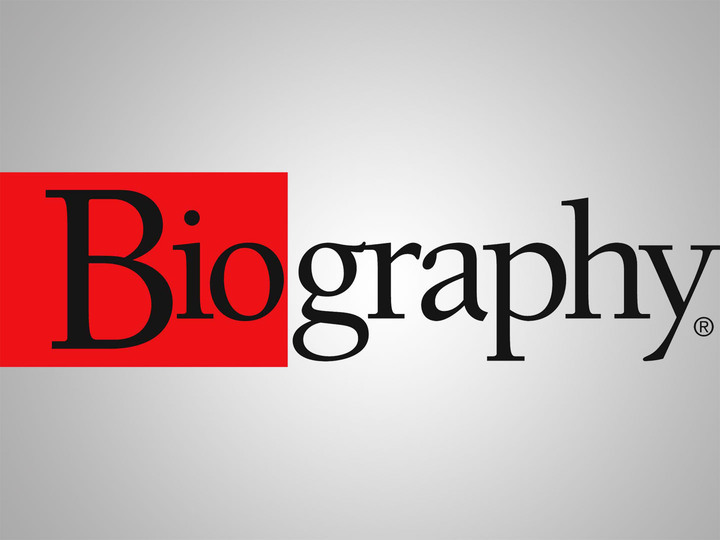 Is the biography engaging? If you are hoping to publish your book and want some professional advice while writing, consider hiring a copy editor. If you have a friend who is a professional editor, ask him/her to look at your book. Proofread the biography. This is particularly important if you are writing this for a class, as improper grammar or spelling mistakes could earn you a lower grade, even if your content is great. Double check the spelling of every proper noun you have in your biography. It would be very bad if you misspelled your subject’s name throughout the biography. Come up with a title. This can either be done before writing the biography or after it is completed. Keep in mind that biographies have a way of taking on a life of their own. You may start out with one idea about your subject, and half-way through writing, gain a deeper understanding of the person that makes you reconsider your first impressions. The title should reflect the character of your subject as well as your thesis statement. It should be engaging and interesting to someone who may have never heard of your subject. For example, if you were to write a biography about writer and adventurer Jack London, you should create an engaging title about his adventurous life. Notice the difference between “Jack London, a Writer and Adventurer” and “The Seafaring Cowboy.” One is boring, the other is intriguing. Cite all of the quotes you use in your biography. It is very important that you give credit where credit is due. If you do not cite your sources, you could be accused of plagiarism or even potentially sued. If you have specific instructions for this assignment, check which style your professor would like you to use (MLA, APA, etc.) If you are writing this for yourself, it is generally best to use footnotes or endnotes. a Book for more information.